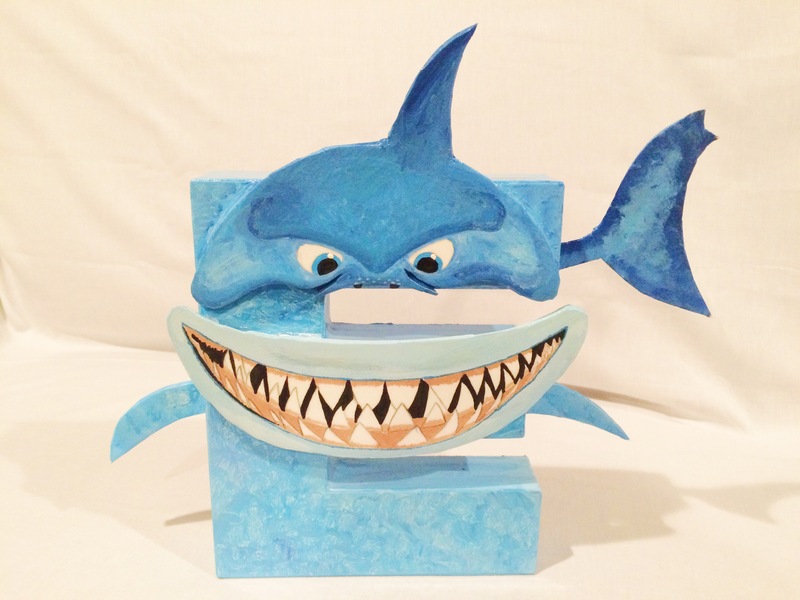 Beyond Photo Booth Props… WCB Event Packages! I’ve been an avid crafter my whole life (hard to notice, right?) and even though they say to really be an expert at something you must do it for 10,000 hours, what I tend to enjoy the most are new challenges and brand new projects I haven’t tried before. On the business side, this has turned into an actual “craving” for opportunities to bring people’s visions to life, and do something brand new to add to my portfolio – and this is a legitimate business move as well, because some people are very clear about what they want, but others need and want guidance on what to do and need a visual aid to understand the concept. So, whenever someone inquires about a custom item (especially if it’s something I’ve never made before), I’m EXTRA eager about turning it into a project. First, everything I made for my friend’s nautical baby shower, I’d never made before. This was my catalyst. Oh Bruce, how I love thee. Thou helped me discover some abilities I did not know I possessed. Marry me? 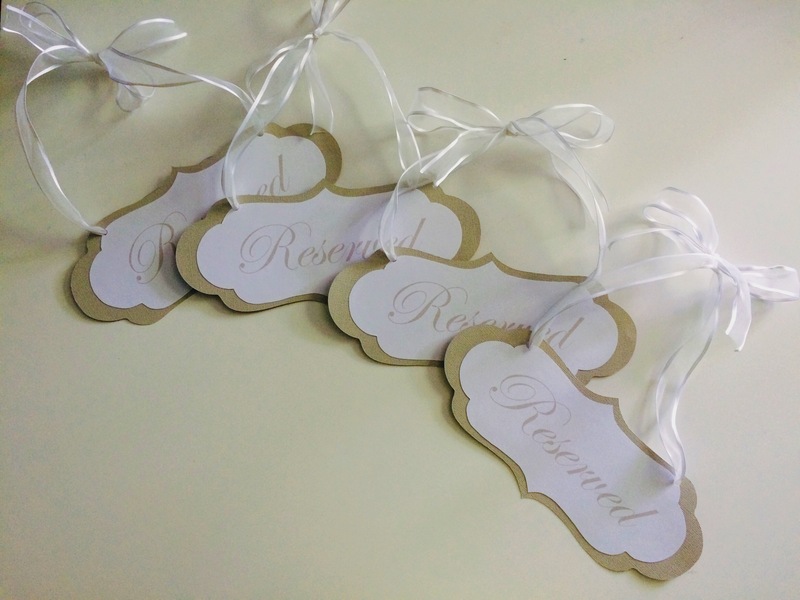 Down to the thickness and style of the ribbon, these were exactly to the bride’s standards! 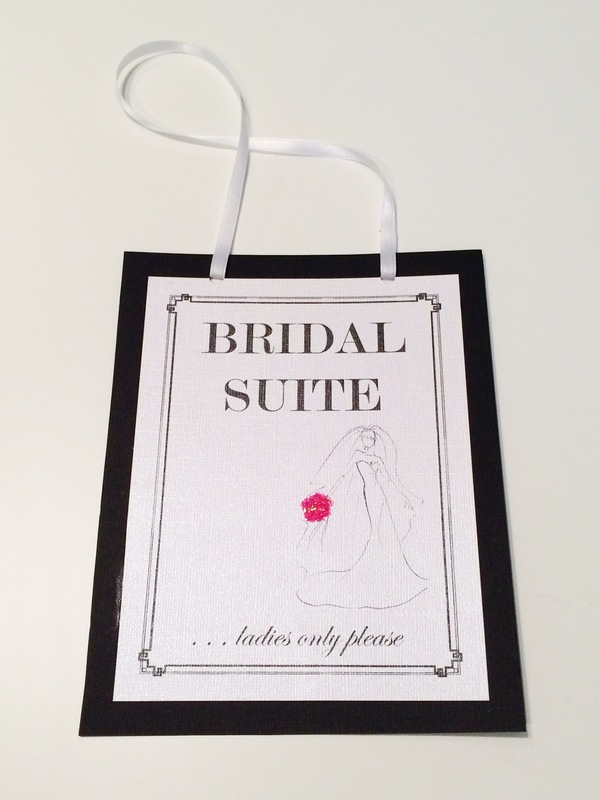 A bridal sign to keep male guests/friends from entering the bride’s quarters without permission! 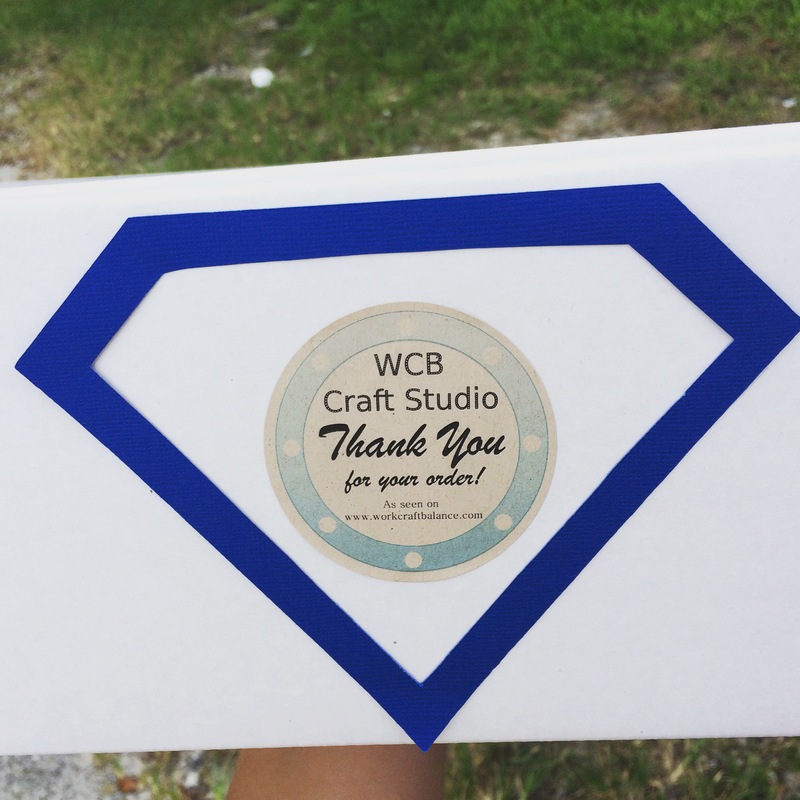 A Superhero Baby Shower Out of a WCB Comic Book! 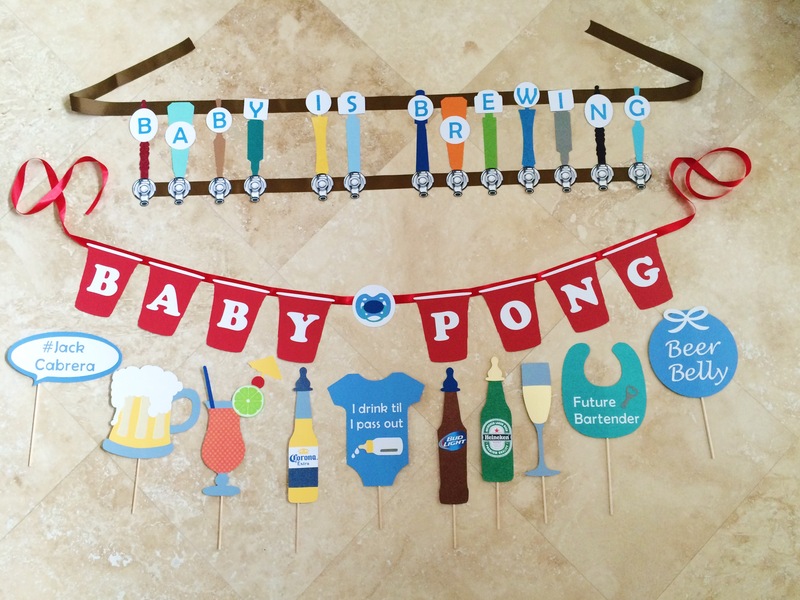 When my friend Diana approached me about doing some items for her baby shower, I never expected what would come out of our first meeting. At that point, I had mostly only made photo booth props, and was itching for someone to request items I’d never made before to start building a portfolio of my work, and in turn, feel a little more empowered when asked if I could do something. Saying “yes I can” is cool and all, but saying “yes, I have!” has a very different ring to it, and it can really influence the outcome of the conversation. So here I am, expecting Diana to ask for some photo booth props… And that turned into a two and a half hour meeting! Truth is, when she started naming each item, I didn’t have the slightest idea of what it would even cost to make them, or what price they went for because she gave me no insight prior to the meeting so I couldn’t research them, but I was still so excited to do this! And a few other things we went back and forth on but due to the event location restrictions we weren’t able to do. Like I said, I got to work right away investigating every item (commonly used materials, price points, production time, etc.) and once Diana approved, I started the assembly. I had a few challenges, especially with some of the digital stuff (I usually work a lot with my Cricut machine to design, cut, and layer items. When it came time to print stuff, it was hard to figure out/find items with good resolution, and I had to come up with ways to fix them once printed), but thankfully, it all worked out! Who doesn’t love a nautical theme? I mean, really, I’m surrounded by anchor-loving people – and it’s completely understandable. The nautical theme is so versatile, gender-neutral, and truly timeless… What’s not to love? To purchase a set of these Nautical Photo Booth Props, head over to the listing on my Etsy page, WCB Craft Studio.